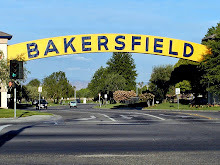 * ... AMGEN TOUR: This is your final reminder to get out and watch the Amgen Tour of California bicycle race sweep through Bakersfield and up the Panorama Bluffs Thursday afternoon. 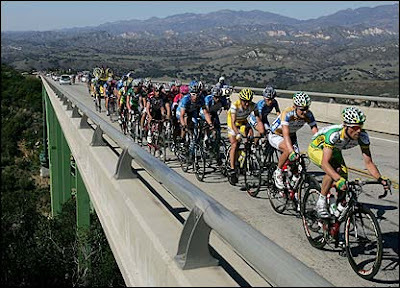 This is a world class event featuring some of the world's best pro cyclists, including Lance Armstrong, Mark Cavendish, George Hincapie and so many others. The finish to this Stage 5 event will happen sometime between 3 p.m. and 4 p.m. up on Panorama Drive in front of Bakersfield College. If you want to ride your bike to the event, Bike Bakersfield will have free valet parking for bikes up near the corner of Mount Vernon and Panorama. Simply check your bike in, enjoy the race and then pick it up by 4 p.m. A free "lifestyle festival" will get under way around noon and end at the finish of the stage. * ... HIGH DRAMA: Lots of drama around town as high school seniors get ready to walk across the stage to enter the next phase of their lives. It's always a stressful and exciting time for these seniors and their parents. I've heard of kids acting up (usually alcohol is involved) and being disciplined in the final weeks of school and others mentally checking out in bad cases of "senioritis." My advice: even good kids make bad decisions and they'll all pull through it. Time to leave high school and move on. * ... HERSBERGER KIDS: Good news for local residents Rod and Susan Hersberger, whose two children are both about to complete their MBA degrees. Mark is about to graduate from San Diego State and sister Kate Greenberg will get her advanced degree from UCLA on June 11. Both have undergraduate degrees from UCLA. 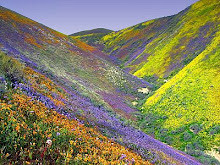 Mark works in the corporate office of UPS in San Diego and Kate works for Disney Consumer Products in Burbank. Mom Susan is director of public affairs at Aera Energy and dad Rod is the dean of the University Library at Cal State Bakersfield. * ... HARVARD LAD: Heard from local jeweler Gordon Wickersham that his son Greg will receive a master's degree in school policy from Harvard University at the end of this month. Greg graduated from UCLA and has been teaching English as a second language in the Atlanta school system. 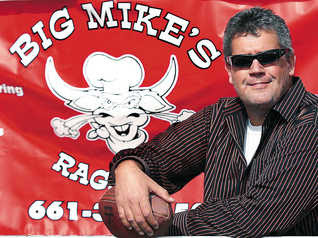 * ... BIG MIKE: Nice to hear that Mike Ariey, "Big Mike" to his friends, is returning to coach the freshman football team at Garces Memorial High School. 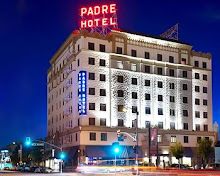 A product of Garces High and then San Diego State, Ariey played professional football with the New York Giants and Green Bay Packers and was instrumental in establishing the freshman program at Garces in the late 1990s. "I love working with these kids and I'm thrilled to be going back," he told me. "It's like going home." Ariey owns a barbeque and catering business. * ... HAPPY BIRTHDAY: Joyce Hobbs wrote to welcome home grandson Brian Mercado after two tours of duty in Iraq. Brian, his wife Veronica and their three children flew from Germany to LAX and will be home a month before heading to Fort Bliss, Texas. Veronica was also in Iraq on a tour of duty. "Brian was injured more than twice, fighting for our freedom, and I am so proud of him," Hobbs said. "Today is his 29th birthday, and he will be celebrating in Vegas on the 20th, and the 21st. Could you wish him happy birthday? Thanks so much- a proud grandmother." Welcome home, soldier. 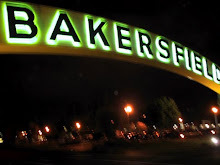 * ... BAKERSFIELDISM: This from reader Will Winn: "You must be from Bakersfield if you remember when there used to be two monuments at the Circle -- Father Garces and Chief Fire Water."